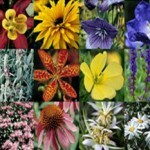 Sam Bridge | Contact Us | Nursery & Greenhouses LLC. Sam Bridge is here to serve you all year long! For Employment Opportunities please send resume to sam@sambridge.com or stop by the Garden Center to complete an application.